Dr. Thomas E. Hyde graduated from Florida State University and later, Logan College of Chiropractic in 1977. In between, he served his country for 5 years as a Marine. During his education at Logan, he was fortunate to have the opportunity to take 2 soft tissue classes from Dr. Raymond Nimmo. This began his career path to learn more about the role that soft tissue/fascia plays as a potential cause of pain, loss of function and loss of range of motion. Tom went on to fuse this interest into his love of sports and began treating athletes of all ages and abilities. He became the chiropractic consultant for the Miami Dolphins from 1990 through 1997. He also attended a 2 week sports medicine internship at the United States Olympic Training Center in Colorado Springs, CO in 1986 and served as the US chiropractor to the Pan American Games in 1987. An avid athlete, Tom has competed in amateur sports, run several marathons and climbed many mountains in order to raise awareness and funds for charitable organizations. He spent 18 years powerlifting and served as chiro-practic coordinator for the US Powerlifting Federation and International Power Lifting Federation. Dr. Hyde served on the first RAND multidisciplinary panel on Low Back Pain and also served as one of 35 researchers who produced the Mercy Guidelines. He later participated in the CCGPP (The Guidelines for Chiropractic Quality Assurance and Practice Parameters) soft tissue section. He has completed 2 Editions of Conservative Management of Sports Injuries published by Williams and Wilkins (1st Edition) and Jones and Bartlett (2nd Edition) with his co-editor and co-contributor, Marianne Gengenbach. After sustaining a career ending injury in 1996 to his left hand and wrist, Tom switched his focus to lecturing and teaching. 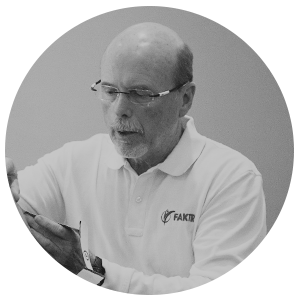 He has traveled all over the US and many countries teaching treatment of athletic and soft tissue injuries. He has served on many Boards including the American Chiropractic Association, the ACA Council on Sports Injuries and Physical Fitness and the Governor's Council on Physical Fitness and Sports in Florida, to name a few. In 2009, Dynamic Chiropractic chose him as their "Person of the Year." Tom is the co-developer of FAKTR with Dr. Greg Doerr. He has his Diplomate in Sports Injuries and his International Sports Science Diploma. Tom received one of his proudest titles when in 2009, he was awarded an Honorary membership of the Royal Canadian Chiropractic Sports Science organization. He is married to an amazing woman, Susan, without whom none of this would be possible and they have one fabulous daughter, Jennifer. Tom's hobbies include hiking, mountain climbing, wildlife and outdoor photography and he enjoys traveling the world.